Hoping that this enews finds you and your ʻohana safe and enjoying time with family as we prepare for the weather headed our way. This week we explore an ʻōlelo noeʻau that seems so appropriate as our communities prepare for Hurricane Lane. We are so appreciative of our ʻohana as we quickly pulled together to ensure our that kula was as safe as we could in preparation for the storm. Our keiki helped with sandbags, moving books and equipment to safe places and still continued to learn with their kumu! 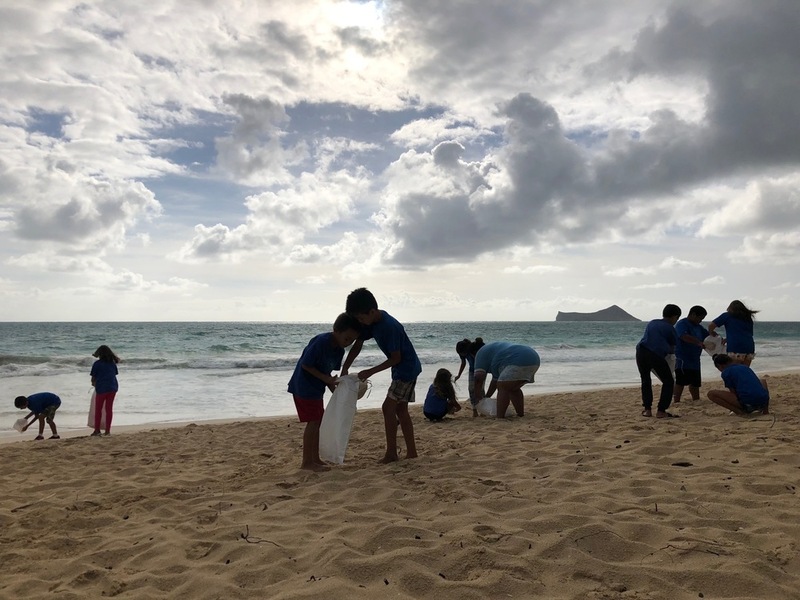 Mahalo nui to our kumu and ʻohana (Kauanui, Cleven, Cirillo-Nahinu, Maiava, Kealoha, Souki) who stayed after school to ensure that the "bigger work" was completed. It is in times like these that we take a moment to appreciate our unique and special Mālama Honua PCS ʻohana. Please stay safe and looking forward to seeing everyone soon!